Divergent opens in the UK this week and my review will be up in the next couple days. The cast and director were in town for the film’s European premiere last Sunday and on behalf of HeyUGuys I grabbed a few minutes with them on the red carpet. Feast your eyes on the interviews below. This article was originally published at HeyUGuys. This entry was posted on April 1, 2014 by Amonymous. 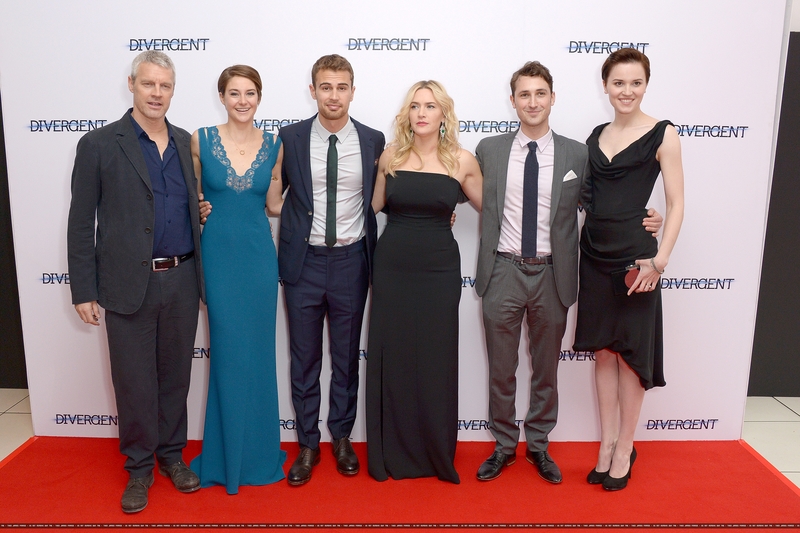 It was filed under Interviews and was tagged with Ben Lloyd Hughes, Divergent, Kate Winslet, Neil Burger, Shailene Woodley, Theo James, Veronica Roth. Great coverage, my man. Smart questions. You’re a lucky fella, too. Not many guys can brag about interviewing Winslet AND Woodley.